Today's Worship Quote is from a book by Gary Furr and Milburn Price. 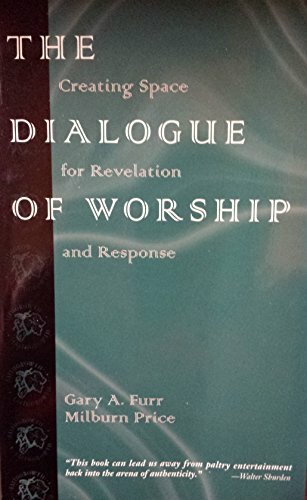 The authors, a pastor and a minister of music in a local church, present the metaphor of "dialogue" to describe the multifaceted nature of Christian worship. The tapestry of worship is formed by the various threads of conversation that occur in interweaving fashion: God's Word being communicated to the gathered community (both individually and corporately), worshipers responding to God under the prompting of God's Spirit, and those same worshipers sharing with each other their understandings of their faith commitments and of the ways in which God is at work in their lives." This is a delightful and insightful ninety-page book about the theology and practice of Christian worship. I recommend it highly.